Hey guys have you check the latest internet browsing promo of Sun Cellular? 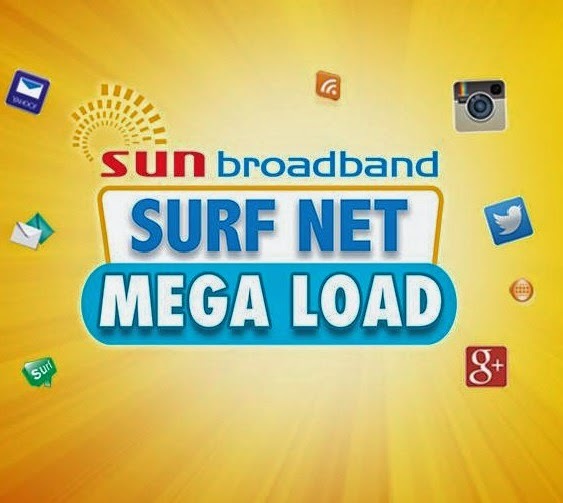 You can now surf longer by subscribing to their Surf Net Mega volume surfing. In this case you are given certain amount of data based on your enrolled MEGA promo. You have the validity options that last a day, 3 days and 5 days to consume the inclusive volume of data. Like for example, you are enrolled to MEGA100 and your inclusive consumable is 500MB that cost you 100 pesos. That 500MB will last up to 5 days unless it is not fully consumed before it reaches to last day validity. The good thing on this Sun Cellular Prepaid MEGA promo is that you only pay less than the usual UNLISURF promo. With this you need to estimate your internet usage then select on the options above which you think your consumption fits in. For updates, you can visit our site or go directly to Sun Cellular website by visiting http://suncellular.com.ph. ask ko lng po. pede po bang palitan ung sim ng sun pocket wifi tapos ito ung iload? pede po b un?